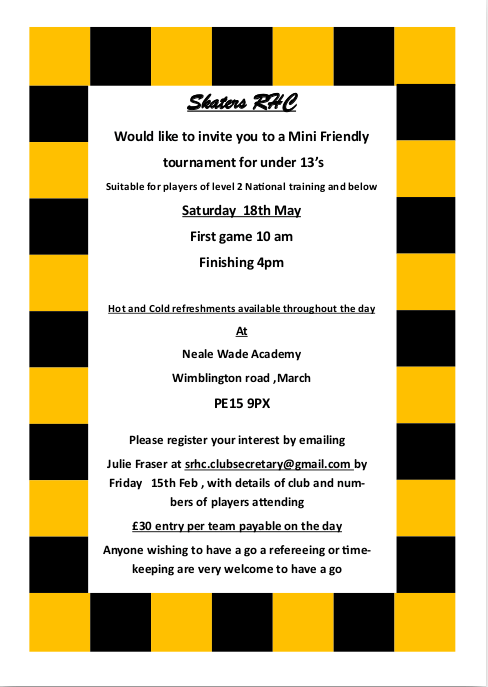 Unfortunately the Skaters U13 friendly tournament planned for 18th May has been cancelled as it clashes with a re-arranged U13 Division 2 tournament. The U11 friendly tournament on Saturday 6th April is still taking place from 10am to 4pm at Neale Wade Academy Sports Centre, March. Interested clubs should contact Skaters Rink Hockey Club.